New push button switch enables operator to use the Xenide HID flashlight with one hand. 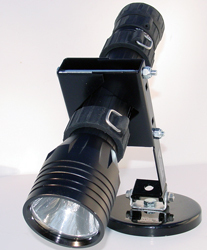 Convenient MagLite format makes the Xenide flashlight easy to carry and hold. 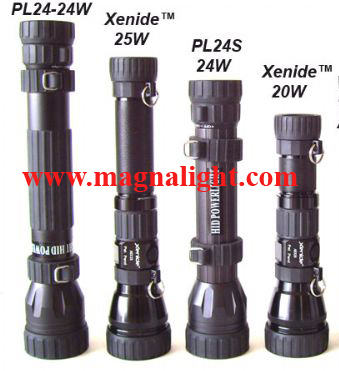 Take a look at the military grade flashlight holder as an accessory for your Xenide. Designed specifically to support the weight of the Xenide.